Tie up loose ends on Melemele Island and take your first steps towards becoming champion. Need more help with Pokemon Sun & Moon? Be sure to check out our in-depth guide hub. After a walkthrough for a different part of the game? Hit up our walkthrough index. You’ve recovered Nebby from Melemele Meadow and battled Hau in another friendly rival encounter. It’s almost time to leave Melemele Island behind – you barely had a chance to call it home! The Island Kahuna is waiting for you, though. Prepare your best Pokemon for a big battle and head back to Iki Town. This walkthrough is going to keep things simple. We’re not going to write out detailed strings of endless prose telling you where to walk and what to press point-to-point. 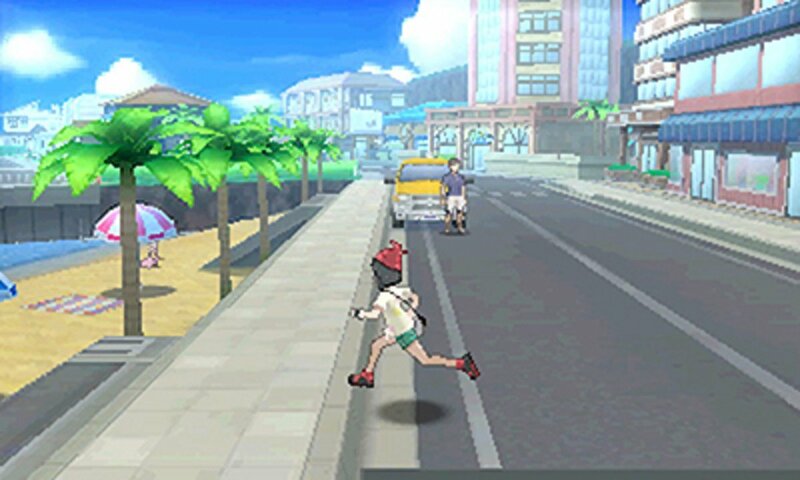 Instead we’re going to streamline things down: we’ll talk instead about each area of Pokemon Sun & Moon you’ll encounter, listing off the Pokemon that can be caught there, items that can be found there and so on. When you get back to Iki Town you’ll have a big battle awaiting you. 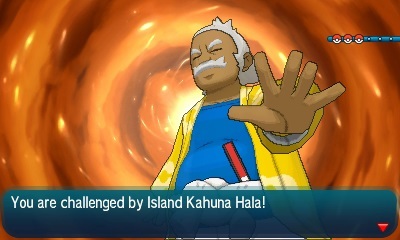 Hala might’ve been the kindly older man who got you started on your island challenge, but now he wants to fight. You should give his Pokemon a beating. Hala’s team basically dishes out huge damage quickly, so your aim is to take them out fast. Flying-type and Ghost-type Pokemon should be your go-to hitters here, primarily flying type. Grab yourself a Spearow, Wingull or Zubat from around Melemele Island. Train them up and hit all these Pokemon hard with moves like Gust, Wing Attack and Peck. They won’t last long, even with Hala’s Crabrawler able to power itself up with Z-Power and use a Z-Move. Once you defeat Hala you’ll be given a Fightinium Z-Crystal, TM54 – False Swipe and the Ride Pager with your first Ride Pokemon, Tauros. Next up is Akala Island! Before you head off to Akala Island on the first stage of your adventure, you might want to consider exploring Melemele Island some more. Ten Carat Hill – Catch yourself a Rockruff! Visit the Hau’oli Shopping Mall & chat to the Janitor and his Grimer for a small side-quest to get TM45 – Round. Revisit Captain Ilima in his house to challenge him to another battle. If you win, he’ll hand over an Everstone. Chat to the clerk behind the desk in city hall to get a Shell Bell. Revisit the cemetery at night and chat to a lady being carried by a Machamp for a sad story and TM56 – Fling. Akala Island is next. Keep on going!